Just a note to our Portuguese brethren and visitors of the nation out there, next week I plan on writing about Portugal. I am spending the week reading up on it and making sure all the little things about my visit years ago are still valid. 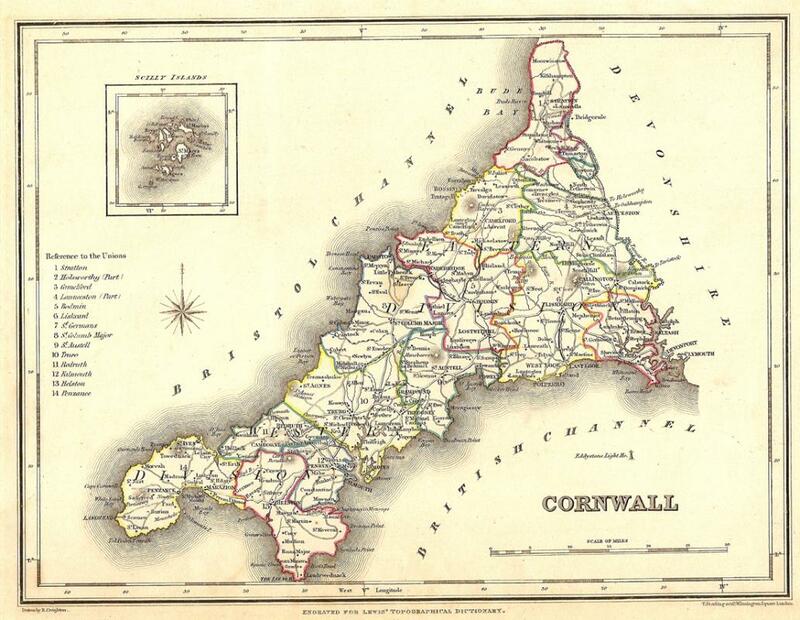 I would love to include some of the more unknown points of interest about the nation, drop me a note if you have anything I would find of interest. You may have notices I’ve been naming certain days, Poetry Sunday for example. I am trying to give my blog a bit of focus. Well, I am trying to give me focus. Tuesdays are now for posts centered on geography. Don’t worry, I promise not to make it like you are back in 10thgrade. None of us need to relive that awkwardness. No, Tuesdays are for adventure and intrigue. It is a big planet and we all need to know and enjoy it more. To that end, a good place to start is where it all started for me – St. Simons Island, Georgia. If you have been reading my blog for a while, you have read references to it and it makes a most wonderful subject as it is full of adventure and intrigue. It was a blessing to grow up in such a place. 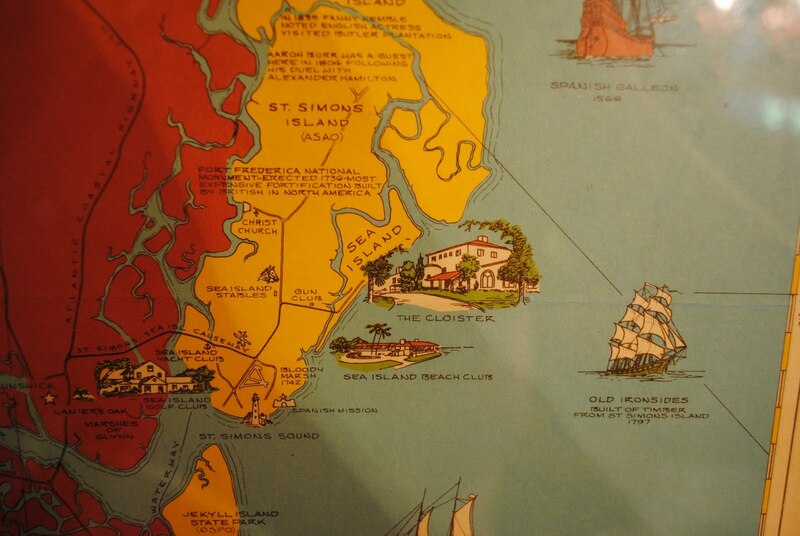 For the particulars, St. Simons Island is one of Georgia’s four Golden Isles and parts of the Sea Island chain that runs between the mouths of the Santee and St. Johns Rivers. The chain is made up with over 100 barrier islands and stretches for 250 miles along the United States’ southeastern coast. St. Simons’ name when Europeans arrived in the 1600s was Guadalquini. Try saying that three times real fast! The name was taken for the village of the Mocama Native-Americans living there. Just how it was names St. Simons is the subject of debate but most likely was taken from a short-lived encampment of the Yamassee tribe called San Simon that inhabited the north-end of the island in the 1660s. 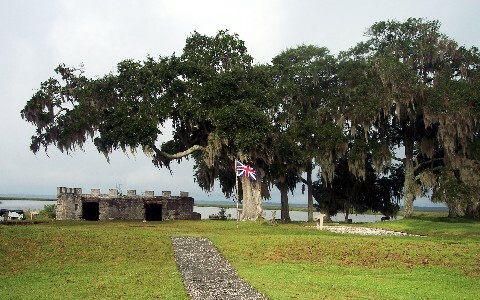 Their campsite became the future home of the English settlement of Fort Frederica. The English Anglicized the name to St. Simons. And yes, it is spelled with an “s” on the end, deal with it! British General, James Oglethorpe founded the colony of Georgia and the city of Savannah in 1733. Two years later, he had Fort Federica and Fort St. Simons constructed on the island as advanced positions to protect Savannah from the Spanish located in Florida. Both the English and Spanish claimed the territory as their own. In fact, the whole of the area between British South Carolina and Spanish Florida became known as the “disputed land.” As it is with nations, disputes lead to war, in this case, the War of Jenkins’ Ear. In that war General Oglethorpe’s troops, accompanied by their Native-American allies, fought the Spanish twice on July 18, 1742 winning both engagements, and ending the attempts by the Spanish troops to take control of Georgia. Of course, when the war ended, so did the need of forts. There are many other notable little points in history St. Simons has a claim to, far too many to be inclusive here, everything from things like the Battle of Bloody Marsh mentioned before, to German submarine sailors sneaking ashore during World War II. St Simons has had its share of famous residents too. Currently, golfer Davis Love III and writer Tina McElroy Ansa call it home. Other residents past and present include writer Eugenia Price, football player Jim Brown, former US Senator Sam Nunn, Atlanta Braves pitcher John Smoltz, former US Attorney General Griffin Bell, and many others. Whether born there or called to it, each one found reason to call it home and hold it special. 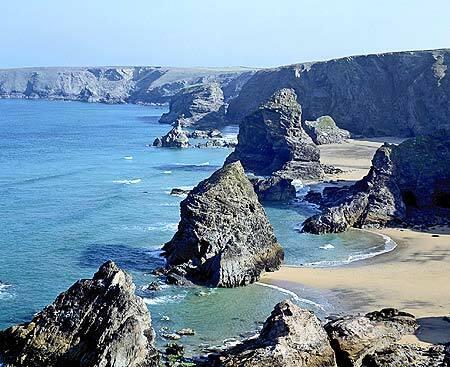 As wonderful as all that history is, it does not tell you of the charm of the little island I call home. It has wonderful beaches, beautiful marshes and moss-draped oaks with limbs that reach out so far they touch the ground before again reaching to the sky. It is a place where your daydreams hold as much magic as if they were real. It is a peaceful place that gives people the ability to find out who they really are and children the ability to discover who they wish to become. It is a place with a slow pace. Time does not have such a tight hold on things on St. Simons as it does in Manhattan. They are both about the same size but that is where their points in common end. It’s not that locals are lazy and lay around, far from it. It is the place itself that makes time pass slowly. It is as if God allows us to better savor the moments spent there by stretching them out. For each moment on the island is special, somehow it is just easier to give yourself time to enjoy the sunsets with their light-orange shades than suddenly change to a deep red, that then give way to the dark, dark hues of nighttime’s veil. On St. Simons you have time for most everything. Of course, the island’s history and moss-covered trees do make nighttime just about perfect for a scary ghost story. The island has plenty of them to offer. Everything from a school teacher’s lonely grave, it is said she was a witch, to Mary the Wanderer who walks the marshes and beaches waiting for her lover’s return from the sea, make for wonderful stories that make your children grab your hand and your mate to hold you just a bit tighter. My favorite thing though is to head out into the marsh and find a secluded spot and fish. Not many walk into the marsh as it is a muddy endeavor. More times than not, my mom would stop me in the yard with “you are not coming in this house all covered in mud, go wash off with the hose.” I guess that is what makes St. Simons special, you ask ten people and you will get ten answers on why they are endeared to it. Just what pulls them to St. Simons is not important. What is important – they are pulled to it. It is a wonderful place to call home. So there it is; my home. Regardless of where I am, St. Simons will always be home. In many ways, it made me who I am. From my daydreams about fighting with Gen. Oglethorpe to getting writing advice from Eugenia Price, the place shaped who I am. If it is possible to love a place, St. Simons is that place for me. It is just a sleepy little island separated from the mainland buy a bit of marsh but when you cross that marsh, you enter a magical world, a world that hold life’s pressures at bay.